Would you let a robot pick out your breakfast cereal? 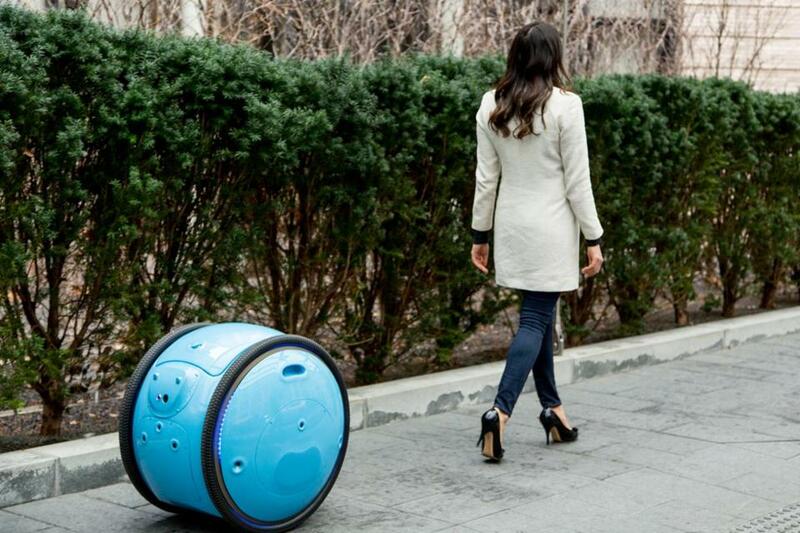 Piaggio, an Italian company, is developing a cargo robot named Gita that could collect and carry groceries for shoppers. Exactly a century ago, a Tennessee entrepreneur named Clarence Saunders was granted a patent for a new idea that would disrupt retail by cutting jobs and costs at the same time. Though Saunders’ name isn’t well-known, you might have interacted with his invention in the past week or so: the self-service grocery store, where you choose your own items from the shelves. Before Saunders opened the first Piggly Wiggly in Memphis, customers would hand a shopping list to a clerk, who would assemble the order. It’s an example of innovation that has endured. But in 2017, a group of entrepreneurs are starting to wonder whether more cost — and more jobs — could be wrung from the grocery business by having robots roam the aisles. Startups like Cambridge-based Takeoff Technologies, Alert Innovation of Tewksbury, and FP Robotics of New Hampshire have collectively raised millions of dollars to streamline the process of replenishing your cupboards. And a report last week in the New York Post asserted that e-commerce giant Amazon is also developing a robot-staffed grocery store that could operate with just 10 employees, though the company denied it. Amazon’s robot development team is headquartered in North Reading, the result of a 2012 acquisition. Why is there so much interest all of a sudden in automating the grocery store? “Grocery has been relatively resistant to online shopping,” says John Lert, founder of Alert Innovation. “It has to be local because it’s hard to deliver ice cream or fruit by UPS very easily or inexpensively.” Plus, Lert says profit margins for a typical grocery chain are less than 2 percent — so offering services like online ordering and home delivery eat into that. But a 2016 Morgan Stanley report says that even though it can be challenging for stores (or startups like Instacart) to deliver groceries profitably, consumers are increasingly willing to place orders online. The report from the investment bank predicted that online orders in the United States would jump from 8 percent in 2015 to 26 percent last year, for fresh groceries (as opposed to packaged goods like cereal). Total grocery spending in the United States is also massive — $675 billion, according to Morgan Stanley. The hope is that a store where robots take your digital shopping list and fill up totes, not unlike pre-Piggly Wiggly clerks, would make it cost-effective for stores to deliver to your home, or enable you to pick up your order on the way home from work, without leaving your car. “The retailer can still make money because they’re not having to pay a human being to walk the aisles filling your order,” Lert says. Lert’s Alert Innovation is working on a sort of hybrid supermarket, where customers might choose to have their Frosted Flakes and fish sticks picked from the shelves by bots but select peaches and steaks on their own. “One peach or steak is not the same as another,” he says. “My belief is that most customers would prefer to select their own fresh goods like that, but they can also choose not to.” Lert’s company has about 30 employees, and it raised money last August, though he won’t divulge how much: “Right now, we’re just focused on getting the technology developed,” he says. Takeoff Technologies envisions using already developed technologies to create a compact store, about the size of a gas station convenience shop, that would be able to carry a full line of 50,000 or so grocery items. “We call it automated retailing,” says cofounder José Vicente Aguerreverre, who previously started a chain of grocery stores in Venezuela. Rather than robots, it uses shuttle carts, elevators, and conveyor belts to move merchandise. In addition to cutting down on employees — a company-produced video shows just two working at a Takeoff facility — the smaller store design would radically reduce real estate costs. “Less staffing means less cost to serve customers,” Aguerreverre says. “Lower cost to serve is lower prices.” The company has raised $10 million from investors. FP Robotics is the youngest of the startups. Founder Peter Lessels notes that there hasn’t been much innovation in grocery stores “unless you count the flashing LEDs on the coupon dispensers.” His vision is that fully automated supermarkets will be able to “remake retail,” offering both pickup and delivery of items beyond just food, like pens, light bulbs, or printer ink. “When you know what the future will be in a certain space, and it will get done by others if not by you, how do you not do it?” Lessels says. One group of engineers in Boston is also thinking about how you might carry those heavy groceries home if you’re out running errands on foot. Piaggio Fast Forward, a division of the Italian maker of scooters and motorcycles, earlier this month unveiled two cargo robots it calls Gita and Kilo. They’re designed to hold packages and tag along after a human. Perhaps appropriately for an Italian company, the capacity of Gita — the smaller of the two robots — is about the size of a case of pinot grigio. “Both robots are about making the human more efficient,” says Sasha Hoffman, chief operating officer of Piaggio Fast Forward. “We want you to walk more, and do more, and have your hands be free.” Piaggio hasn’t yet announced a price or launch date for the robots. A future where robots both put together your grocery order and help carry it home will raise some interesting questions — like, which bot was responsible for pulverizing the Nilla Wafers to powder? Piggly Wiggly founder Clarence Saunders, incidentally, knew that we were headed in this direction. In 1937, he opened a store in Memphis called Keydoozle. Shoppers were given a personalized key that they used to select merchandise from a display. Behind-the-scenes workers assembled the order, putting the goods onto conveyor belts. The key would be used to tally up the bill when a shopper was done. Unfortunately, the system didn’t work well at peak times, and there were too many mixed-up orders. The concept never took off. But today, more than 600 of Saunders’ Piggly Wiggly markets survive in 17 states, and Piggly Wiggly is owned by a Keene, N.H., company called C&S Wholesale Grocers. While Saunders is long gone, in 2009 C&S was among the first to bet that robots will be essential to the grocery industry. It acquired John Lert’s previous startup, which developed automated systems to work within grocery warehouses. That company, Wilmington-based Symbotic, now employs more than 700 people and is one of the anchors of what you could call the “grocery tech” cluster in Boston.